Brooklynn's Yorkshire Terriers UNDER CONSTRUCTION!!! GCH Journey's Who Am I? Welcome to the Wonderful World of Brooklynn's Yorkshire Terriers! Some may wonder why I chose Brooklynn as our kennel name being a small town Texas gal. You see, my best friend Meryl is from Brooklyn, NY. and when I went to meet her for the first time I fell in love with her big city! She named our Brookie and so that's when I decided to bring a little NY to Texas! We are a small show home that's dedicated to breeding and showing healthy and sound Yorkshire Terriers! Health, structure, movement and attitude are a must here at Brooklynn Yorkies! We may only have one litter a year and we strive for excellence in our showing and breeding program. 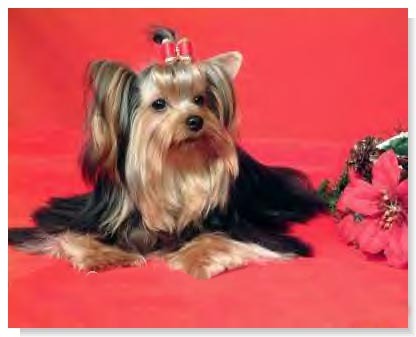 Our show yorkies are our pets first then show dogs second. They live in our home and sleep with us at night and are loved and spoiled! Thank you for visiting Brooklynn's Yorkshire Terriers and please feel free to contact us and we'll be happy to answer any questions you may have!